Ayanna Joiel Puryear RN, BSN (who goes by the name Ayanna Jo) is a travel nurse specializing in critical care. Behind the scrubs you will find her either preparing for her next adventure or checking out the newest brunch in town! 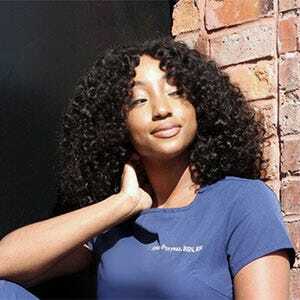 A master of time management and advocate for her patients, Ayanna's love for her work is fueled by her desire to constantly live a purposeful life instead of merely existing. "Nursing by far is not the most glamorous profession. Constantly working shifts that are 12+ hours, physically challenging, and consistently busy are some of the most challenging things about my profession. In addition, most days I have to walk into work and prove myself as a knowledgeable and competent nurse because of how "young" I happen to look. All of this quickly goes out the window when I dissect what it really means to be a nurse. Seeing my patient gratefully leave the ICU with their health and strength is one of the most rewarding feelings I have ever felt. So many people don't know what it means to fight for their lives. I see it every day, and then I join in on the battle alongside my patient. This is why I do what I do. There is no feeling more rewarding than winning the championship with your patient. There's something amazingly true about the phrase "When you look good, you feel good". This applies to patients and their providers. Whether it is bathing my patient, helping them brush their teeth, or washing and combing their hair, I just understand how much our appearance can affect our mood and our behaviors. Being able to maintain style in a professional setting helps one to simply maneuver about their day in a different manner. It allows for one to exude confidence as a healthcare worker in not only their appearance, but in their role as a vital component of the interdisciplinary team." Follow Ayanna on Instagram and visit her website at TheAyannaJo.com.